Be patriotic with these red, white and blue soft suedette shoes. Our union jacks make super soft baby shoes and funky childrens slippers. With a free gift bag our funky footwear makes an ideal gift for new born babies, toddlers and children. 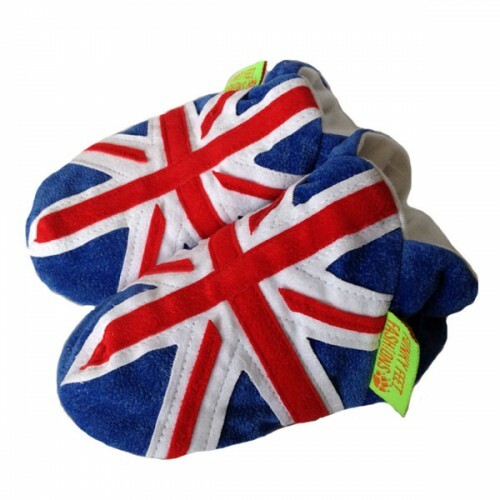 These union jacks are a pram shoe or a pre-walker. Plus with superb road holding they're cool for crawling, safe for first steps and wicked for walking. Perfect for nursery, kindergarten, school and home.